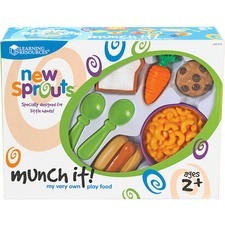 Play food set invites early dramatic play, builds vocabulary, models mealtime routines and more. 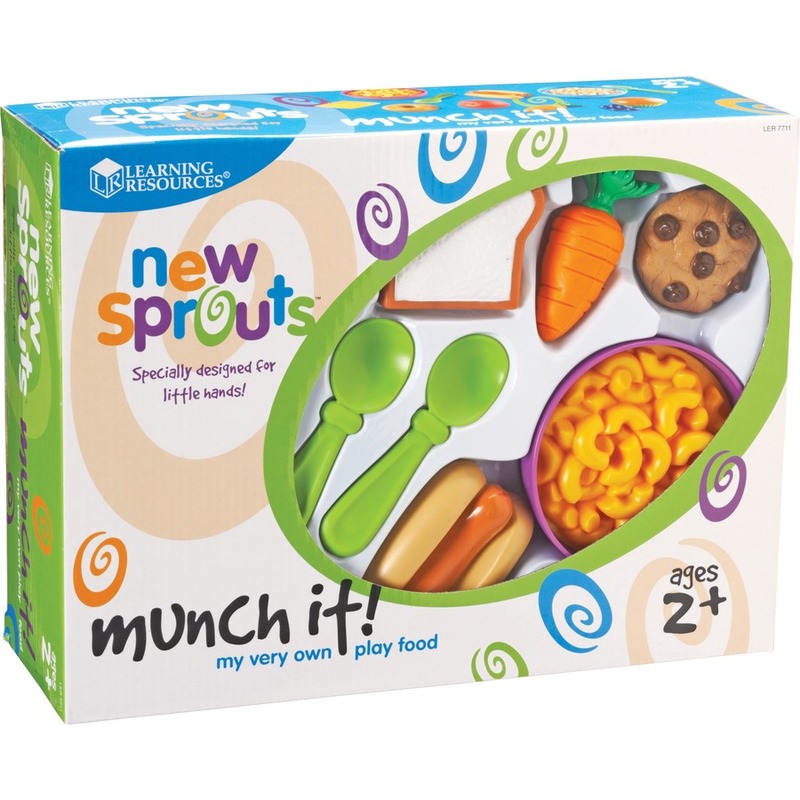 Soft, durable plastic pieces provide safe use during play. 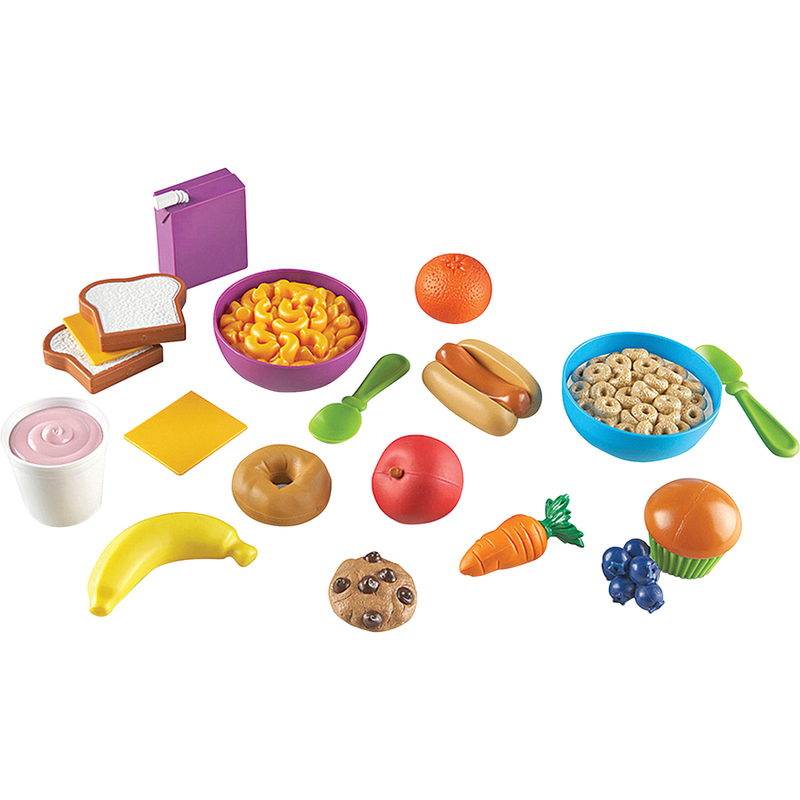 Set includes slices of bread, slices of cheese, juice box, yogurt cup, mac and cheese, cereal, spoons, orange, hot dog, bagel, banana, cookie, carrot, apple, berry cluster and muffin. Set is designed for children ages 2 and up.